Founded by renowned race engine builder Joe Hornick, JHE's goal is to bring years of experience, both on track and in the shop, to our clients. It's the path to better engines and top results. High-revving valve trains require robustness and precise geometry - rockers operating carefully from one side of the valve stem tip to the other. 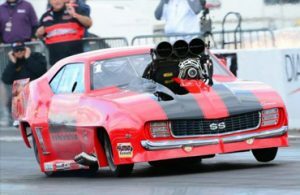 JHE introduces independent racers to the same advanced technology used in NASCAR and Pro Stock racing. JHE supports just one Pro Team per racing category: "We don't compete against our customers." 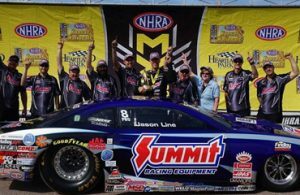 JHE's technology has been adopted by the most successful race teams in this country. 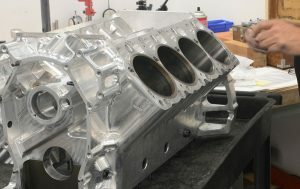 All-new designs, including cylinder heads and engine blocks, are the assets that built Joe Hornick Enterprises. Supplying technology to the most successful race teams in recent times. Providing premium parts and the latest technology for race winning engines. Offering independent racers access to race-winning concepts – from NASCAR to Pro Mod. America's First Helpline for Race Engine Builders. 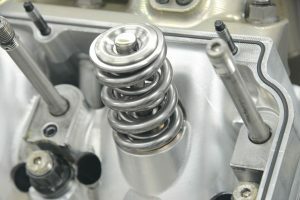 Need a valve spring that's outstandingly capable? "The task is familiar to him—he is required to find race-winning power. But repeatedly finding power is hard, even for the most gifted. It’s a standard that requires endless attention. For the less able practitioners it can become a muddle of the mind—there are so many elements to get right. In this arena, Joe Hornick has excelled"